A new study led by investigators at Beth Israel Deaconess Medical Center (BIDMC), Massachusetts General Hospital (MGH), and the Benson-Henry Institute for Mind Body Medicine at MGH identified genes associated with the body’s response to relaxation techniques and sheds light on the molecular mechanisms by which these interventions may work to lower blood pressure. The findings were published today in the Journal of Alternative and Complementary Medicine. This is the first study to test such a mind-body intervention for a population of unmedicated adults with carefully documented, persistent hypertension, and this is the first study to identify gene expression changes specifically associated with the impact of a mind-body intervention on hypertension. In this study, Libermann, Zusman and colleagues enrolled 58 people with Stage 1 essential hypertension — defined as having a systolic (top number) blood pressure between 140-159mm Hg and diastolic (bottom number) between 90-104mm Hg. Participants were either not taking medications to control their blood pressure or had tapered off them for five weeks prior to the outset of the study. Participants also filled out standardized questionnaires about stress, depression and anxiety. 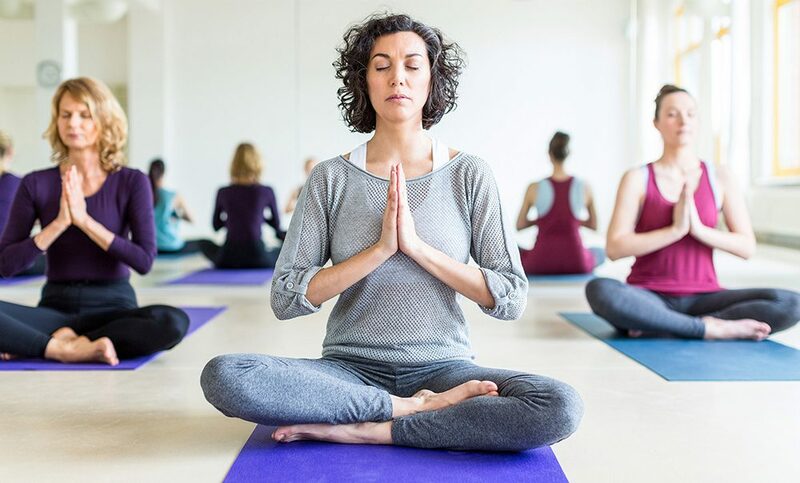 Over the next eight weeks, participants attended eight weekly training sessions at which they were guided through mind-body interventions designed to elicit the relaxation response — including diaphragmatic breathing, mantra repetition and mindfulness meditation -while passively ignoring intrusive thoughts. Participants were also given an audio CD that guided them through the same sequence for use at home once a day. After the eight weeks of training, patients filled out the same stress, depression and anxiety questionnaires and had blood drawn for gene expression testing along with blood pressure measurement. Overall, 13 of the 24 participants who completed the eight-week intervention experienced a clinically relevant drop in blood pressure — that is, specific reductions in both systolic and diastolic blood pressure readings that moved participants below 140/90 mm Hg, the clinical definition of stage 1 hypertension. When Libermann and colleagues ran gene expression analyses comparing blood samples from the two groups, they found that specific gene expression changes had occurred in the responders over the course of the eight-week relaxation response intervention that were not observed in the non-responders. Specifically, among responders the expression of 1,771 genes differed between the baseline blood tests and those taken after the eight weeks of relaxation response practice. Further, Libermann and colleagues determined that the reduction in blood pressure was correlated with genes linked to immune regulatory pathways, metabolism and glucose metabolism, cardiovascular system development and circadian rhythm. “Interactive network analysis of the gene signature identified several molecules, particularly immune system-linked genes, as critical molecules for blood pressure reduction,” said first author Manoj Bhasin, PhD, Co-Director of the Genomics, Proteomics, Bioinformatics, and Systems Biology Center at BIDMC. In addition to Zusman and Libermann, investigators included co-first author Manoj Bhasin and Marie Joseph of Beth Israel Deaconess Medical Center; co-first author John Denninger, Jeffrey Huffman, Halsey Niles, Emma Chad-Friedman, Roberta Goldman, Beverly Buczynski Kelley, Barbara Mahoney, Gregory Fricchione and Herbert Benson of Massachusetts General Hospital and Benson-Henry Institute for Mind Body Medicine at MGH; and Jeffery Dusek of Abbott Northwestern Hospital, Institute for Health and Healing. This study was funded by a grant from the Centers for Disease Control and Prevention (R01 DP000339).